Made of ABS high impact plastic. 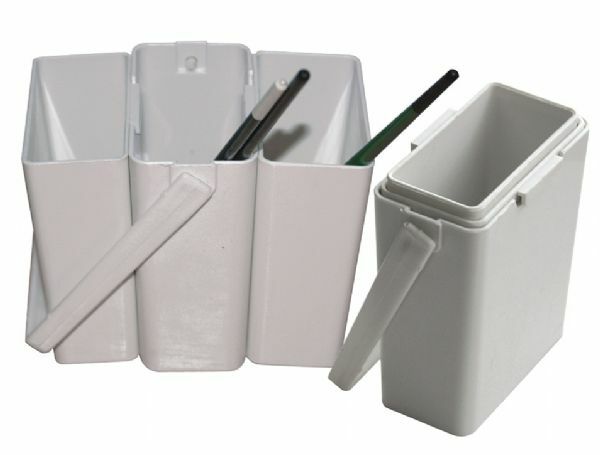 * Has three water tanks for brush washing that can be stacked together to save space when not in use. 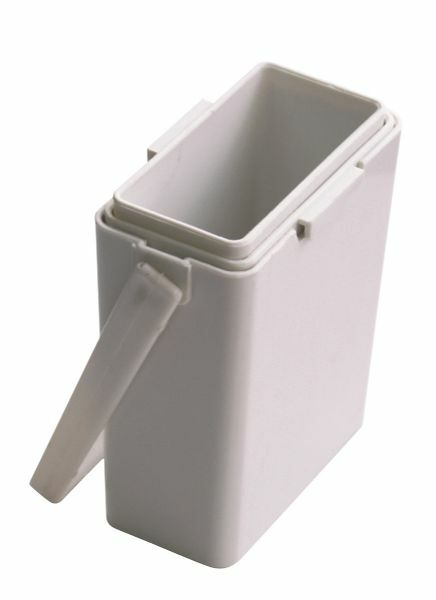 * Equipped with a handle for easy carrying. * Measures 4¼"l x 3"w x 3¼"d when set up. The size is 3"d x 4 1/4"w x 3 1/4"h.
The type is brush washer. 3.39" x 3" x 1.5"